(Bloomberg) -- Soon after Lion Air Flight 610 plummeted into the Java Sea last October, killing all 189 people aboard, Boeing Co. began to point gingerly toward mistakes the airline may have made. 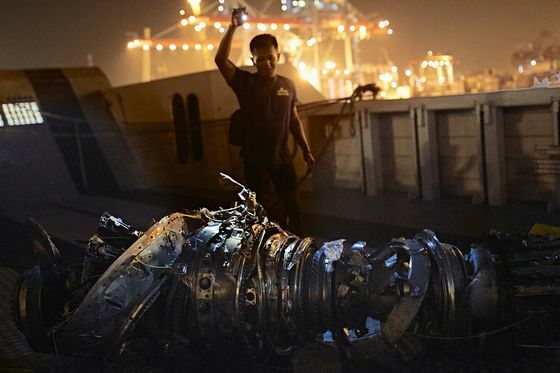 A preliminary report by Indonesian authorities recounted the trouble pilots had with a litany of mechanical woes. That same day, Boeing released its own summary of the findings. The aircraft maker didn’t draw conclusions. But it focused on other factors – potential miscues by maintenance crews and then by pilots who didn’t follow a checklist on the 737 Max 8 jet’s final flight. The November statement set off Lion Air’s founder, Rusdi Kirana. In public, days later, he said he felt “betrayed” by what he saw as a shifting of blame. 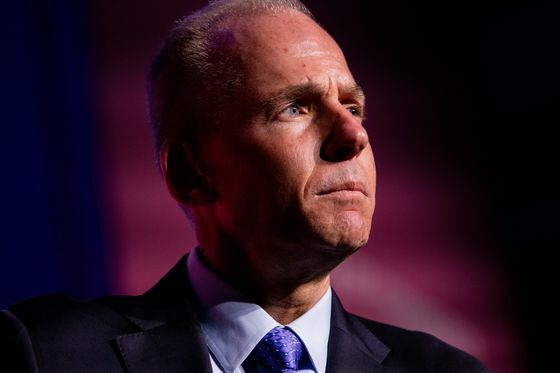 In a conference call, he hurled expletives at Boeing Chief Executive Officer Dennis Muilenburg, according to a person who heard the exchange and asked for anonymity to describe the private conversation. 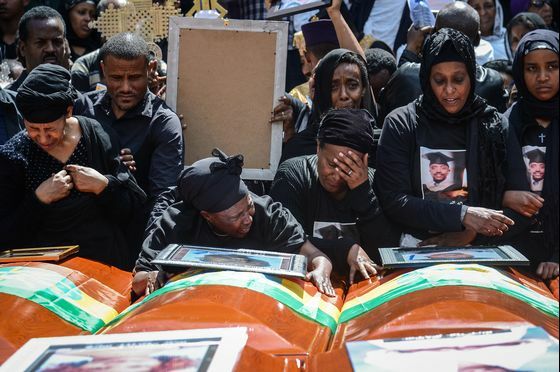 Boeing’s narrative largely held – until Ethiopian Airlines Flight 302 crashed minutes after takeoff this month. Now scrutiny is landing on the iconic American planemaker, facing Congressional hearings and law enforcement investigations into how it handled its own responsibilities to guarantee the safety of the 737 Max planes. At the heart of the questions is the almost fraternal relationship between the company and its regulator, the Federal Aviation Administration. As both pushed for savings and efficiency, alarms sounded. In one previously unreported case involving a separate aircraft program, a Boeing engineer sued three years ago, claiming he was fired for flagging safety problems that might have slowed development. Boeing has denied the claims. Some FAA inspectors raised similar concerns, saying the agency had given Boeing too much responsibility for its own safety checks. The FAA manager at the center of complaints that triggered a federal audit seven years ago is now, after a stint at an aerospace lobbying group, in charge of safety for the agency. The official, Ali Bahrami, was a vocal supporter of delegating authority. He would tell FAA staffers that Boeing knew the systems and the rules and that the company could handle the program, said one former employee in the office. Bahrami, who wasn’t at the agency during the certification of the 737 Max, declined to comment for this article. The office, in the Seattle area, “defaulted” to Boeing – and didn’t answer to headquarters staff back in Washington either, said Mary Schiavo, a former inspector general for the Transportation Department. “They were a nation unto themselves, and basically they treated themselves as independent,” she said in an interview this week. Still, weeks after the Lion Air crash, the U.S. Transportation Department inspector general’s office obtained information that raised concerns about the 737 Max’s certification, according to people familiar with the matter. 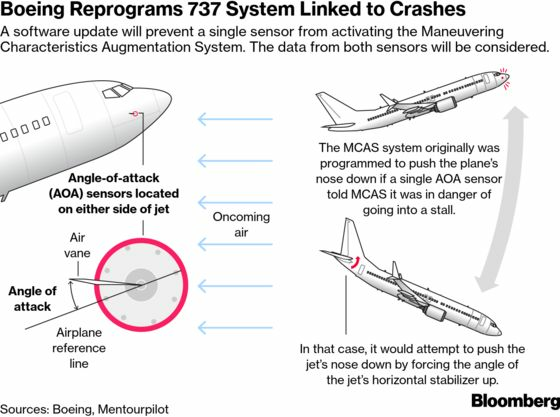 An investigation initiated then by federal law-enforcement agents focuses on how Boeing won approval for stall-prevention software implicated in the crash, and why it wasn’t flagged in pilot manuals, Bloomberg News reported. For Boeing, these are extraordinarily sensitive inquiries, casting doubt on both the aircraft that supplies a third of its profit, and its tight relationship with regulators. In recent years, Boeing’s variations on popular planes, including the 737 Max 8 and 9, and the 787-9 and 787-10, entered the market smoothly and on time, a rarity in the industry. Boeing and its main rival, Airbus SE, have focused on upgrading existing airplanes with new engines, saving tens of billions of dollars that would be required to design them from scratch. They’ve successfully argued to regulators that planes like the Max and the Airbus A330neo are similar enough to older versions to share the same airworthiness certificate. Doing so narrows the scope of certification. It also saves money for customers by shortening pilot training. In a decades-old system, the FAA lets engineers employed by manufacturers themselves oversee tests and vouch for safety. At Boeing, the work is monitored by the FAA certification office in the Seattle area, where most of the jetliners are designed and assembled. The Transportation Department in turn oversees the FAA, and an audit in the 1990s found that 95 percent of the 777 was inspected and certified by Boeing itself, said Schiavo, the former inspector general. She’s now an aviation attorney and the author of a 1997 expose, “Flying Blind, Flying Safe,” contending the agency hasn’t done enough to protect travelers because of persistent conflicts of interest. In 2005, the FAA shifted even more authority to manufacturers under an approach pushed by then-chief Marion Blakey, who later ran the Aerospace Industries Association, the industry’s main lobbyist. She insisted staff refer to airlines and aircraft makers as “customers” and billed the changes as a way to promote efficiency. Under the new rules, which took effect in 2009, the agency let Boeing pick the employees who would vouch for its safety. Previously, the company only nominated them. Bahrami, now the FAA’s top safety official, is himself a former aircraft engineer. When he managed the agency’s Seattle office, Boeing was under enormous pressure to complete the 787 Dreamliner, which was billions of dollars over budget. Airbus had also startled Boeing by stealing customers with its updated A320neo, forcing Boeing into its own update: the 737 Max. A big selling point for the Max was that pilots wouldn’t need to be drilled on its finer points in a flight simulator; it handled so similarly to a preceding generation of 737 that they could teach themselves via a take-home iPad course. The next year, a Transportation Department special investigator wrote to the FAA’s audit chief, telling him that employees in the office run by Bahrami had complained the agency wasn’t holding Boeing accountable. The memo detailed cases where people had told the investigator that managers were slow to address safety issues, and said many feared retaliation for speaking up. In January 2013, after the Dreamliner had flown 52,000 hours with paying customers, the FAA grounded it when lithium-ion batteries on two planes caught fire within a week. It was the first time the agency had grounded a model since 1979. Boeing designed an FAA-approved fix and the planes were flying again within three months. FAA managers including Bahrami were called before a National Transportation Safety Board hearing that April that laid bare the scope of the agency’s reliance on Boeing. The NTSB later found that a test of the battery’s flammability – driving a nail into it – was inadequate and faulted FAA for failing to catch the design deficiency. 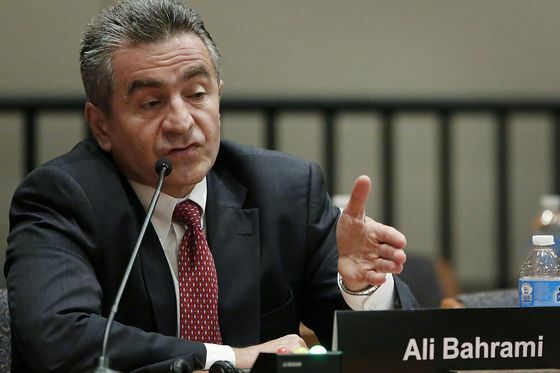 Within a few months, Bahrami took a job as vice president of civil aviation at the Aerospace Industries Association, whose members include Boeing, Lockheed Martin Corp. and other industry giants. His compensation there rose to $315,228 in 2016, tax filings show. In November 2013, as Boeing worked its way past the Dreamliner fiasco, the company launched the 777X, with a wingspan so wide that the tips fold to squeeze into airport gates. This one, too, was a derivative of previous models and deemed to require less-extensive certification and training. The next year, a Boeing engineer named Michael Neely took a temporary assignment on the 777X at the company’s offices near Seattle. His managers asked him to evaluate a plan to adapt a power-distribution system from the preceding version of the 777, according to a lawsuit he later filed seeking protected whistleblower status. The idea was to require “minimal changes,” according to the suit. After a month, Neely reported that the plan wasn’t feasible or safe. Managers ignored him, the suit says, and sent the plan on to the electrical contractor, a General Electric Co. unit. Supervisors began evaluating Neely poorly in 2015 and fired him in 2016, when he sued. GE reported within months of receiving its contract that Boeing’s plan was inadequate and would have to be substantially expanded, according to court documents. Depositions and internal emails filed in connection with the suit offer a glimpse into the culture at the Boeing Commercial Airplanes business, known as BCA. They portray it as lacking the clear responsibility and authority structures that Neely, an engineer for 33 years, was accustomed to at Boeing’s space and defense operation in Huntsville, Alabama. Boeing has painted Neely as unreliable. In its motion to dismiss the suit, Boeing said he didn’t get along with co-workers and violated policy on expensing alcoholic drinks with dinner. The safety-related whistleblower claims were dismissed because of lack of jurisdiction, and are now before an administrative law judge at the Labor Department; the suit also claims age discrimination and violations of securities law. Neely is now representing himself. He declined to comment on the specifics of the case because of the ongoing litigation, but said he was encouraged by the 737 Max investigations. Under Muilenburg, a Boeing lifer who became CEO in 2015, the company has focused on reducing costs and boosting productivity to generate record amounts of cash. As share repurchases helped triple Boeing’s stock price, executives and long-time employees alike have benefited handsomely. Muilenburg has collected $88 million since the year he took over as CEO, proxy filings show. The 737 Max, certified by the FAA and delivered to a Lion Air subsidiary in 2017, seemed like another success. 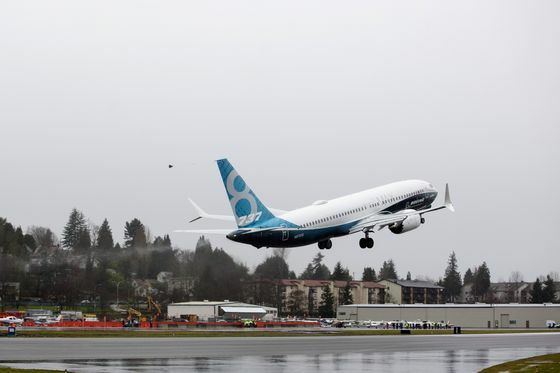 In their first year, the 737 Max planes carried 6.5 million passengers for more than 118,000 hours, with what Boeing said was the highest schedule reliability – 99.4 percent – of any new airplane. Then came the crash of the Lion Air flight in October, carrying, as the Indonesian report tabulated, the flight crew and 181 passengers consisting of 178 adults, one child and two infants. 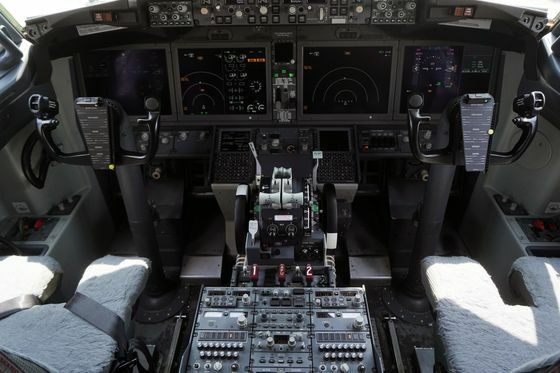 Within weeks, investigators began focusing on the stall-prevention software, one of the supposedly minimal changes Boeing had made. In a testy meeting with Boeing executives in November, American Airlines Group Inc. pilots wanted to know why the software wasn’t highlighted as a key difference. The system baffled the Lion Air pilots by pushing down the plane’s nose about two dozen times, exerting force until they lost control. 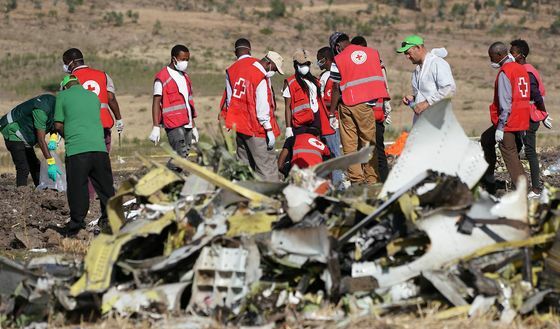 Five months later, the Ethiopian Airlines jet went down in circumstances that authorities say are similar. On March 13, the U.S. ordered airlines to stop flying the 737 Max. It’s the second grounding in six years for a nearly new Boeing model, both since the FAA shifted more oversight to the company. That same day, employees working on the 777X had a low-key party to celebrate a milestone. The first plane had been finished, right on time.